It is living art. It is a grand vision that started with a simple statement. It is the heart of a man who grew up on these streets, and after moving back home from being gone too many years, was moved to do something. Something that would bring attention to the vast neglect that took over the streets. 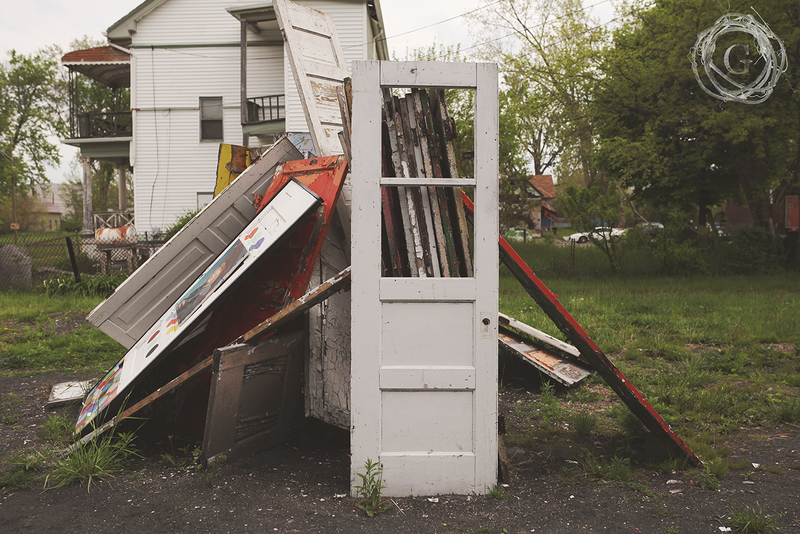 Abandoned homes, vacant lots and debris littering the streets are not a new story for this city. Turning that into an art statement and movement is. 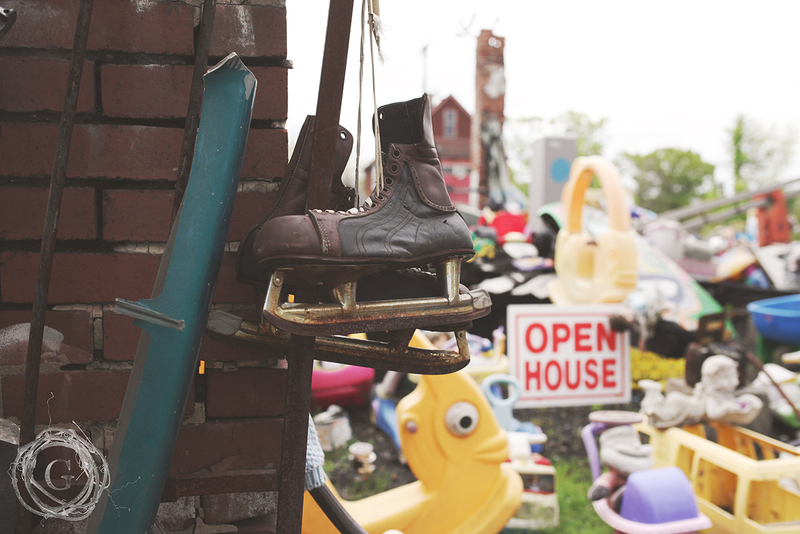 It’s overwhelming to know where to start when you arrive at the Heidelberg Project. There is so much to see, so much to take in, so much to learn. When your feet hit the street, you will notice circles. Circles of every size and color are painted on the concrete, the houses, the fences, even on signs and debris. It is your visual sign that each person is unique and comes in their own size and color. None are more important than another. Each are necessary for the whole fulfilling purpose of the creation. It is our gentle reminder to be kind to each other, in willing acceptance that we all have a place here on earth. Next to the circles, you will notice faces painted on the sidewalk. The faces of women representing the presence of God reflected in the humanity of ourselves. The faces, each different, reminding us to see the face of God in all people. Another gentle nudge to be kind, seek mercy and understanding, leaving judgement at the door. As you travel the blocks that house the project you will see clock after clock painted on the side of houses and on old scrap boards. It is the presence and absence of time. It is the visual reminder that time is a piece of life we don’t control. It moves and life changes within time. Where some things remain stuck in time, others continue to grow and flourish. Where time can race ahead, in the next breath it crawls slowly as if stuck in mud. Time is a friend and an enemy. Time, a mystery and passion that will drive us until the end. I felt it when I was walking through the project. The constant reminder of this elusive and challenging structure of my life. 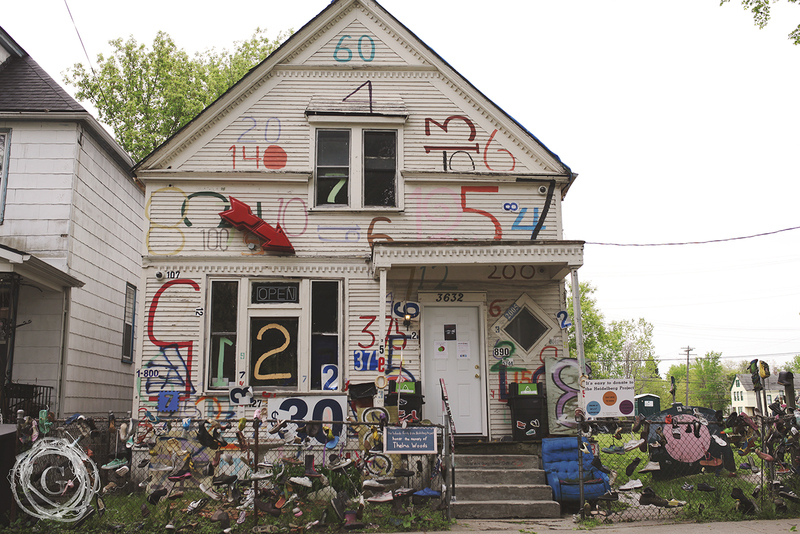 There is so much to see and to be challenged by when you experience the Heidelberg Project. It was a very personal journey for me the first time I went, and every time after I saw something different. I felt something stir in me. I was challenged on a new front. It think that’s what powerful art is supposed to do. And when art meets injustice and the representation of a city who suffers from deep poverty, it will force you to acknowledge these truths. 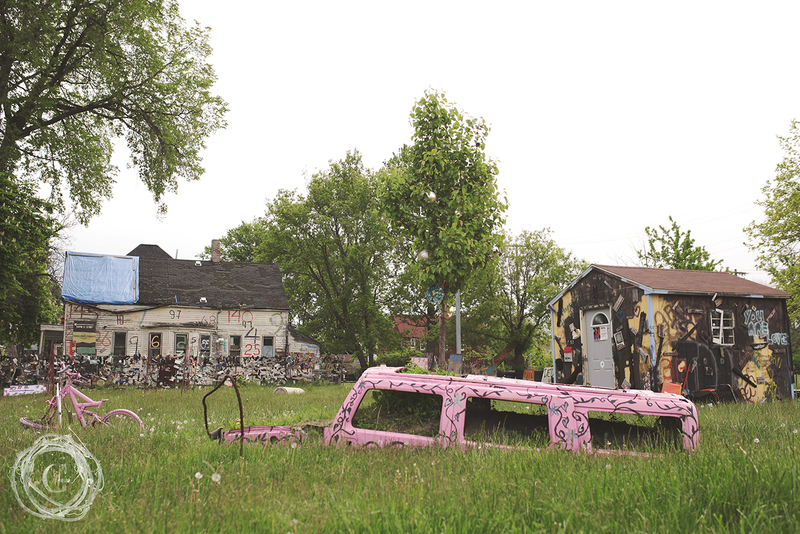 The Heidelberg Project has been in existence for over 30 years. In that time they have seen many of the homes burned down. The project continues to change and evolve as time goes on. Upon hearing about the loss of some of the homes that had been transformed into art, I was again humbled by the heart of the project. The acceptance that loss of art is a part of life and the always living and breathing and evolving art form that is art itself. That as the natural elements change and elements of the art, it will only ever be all that is can be in that moment. 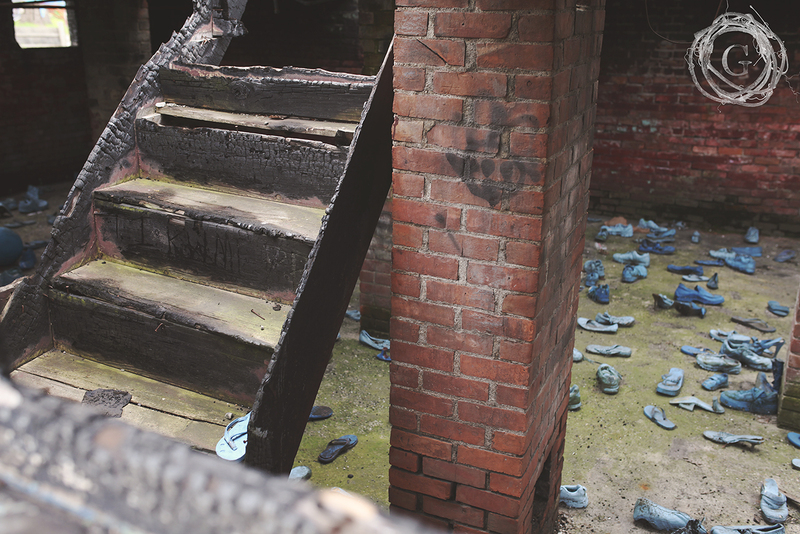 With residents still living on Heidelberg St. we encourage you that when you go and visit this unique experience for yourself, please show utmost respect to the men and women and families that call it home. Thank you Tyree for your passion in changing lives through art and making it accessible for anyone of any color, culture and economic status. It is art for justice. Art for the everyman. Art that changes the landscape. Art that changes our story. To learn more about the project, here is an excerpt from their website, which we highly recommend you visit to watch a video from Tyree himself and get directions. It is a Detroit-based community organization designed to improve the lives of people and neighborhoods through art. Our Mission is to inspire people to appreciate and use artistic expression to enright their lives and to improve the social and economic health of their greater community.